We come to you from a place beyond to try and assist humanity in reaching the heights of ascension, to help you move beyond your physical being to a place where physicality exists at the spiritual vibration. Today, we would like to speak with you about overcoming weight. Many people in your modern era struggle with physical weight, having too much flesh. This is not the only kind of weight — most of you are carrying unknown and unseen emotional and energetic baggage. It comes to you from your past in this life and also from other lifetimes, for every spirit has indeed lived many lives, or if it has not, it is certain to do so in the future. The things that you choose to surround yourselves with are the source of most of your weight, whether it is emotional, energetic or physical. This may not seem true immediately on the surface. But if you give it time and thought, you will come to see that is most certainly the foundation of excess weight. Whether you choose to surround yourselves with people or songs, movies, pictures, that do not speak a high vibrational message to you. Or whether you have surrounded yourself with items, belongings, decorations, things that have come from somewhere else and carry with them an unknown vibration, you are, indeed, loading yourself with subtle energies. You can sometimes feel your shoulders weighed down without explanation, as if you carried a heavy burden. One of the very first steps of an aware person in moving from mundane physicality to divine physical expression is to become conscious of the subtle energies that you’ve surrounded yourself with and that you yourself ascribe to, that you continue to perpetuate with your purchases, with your interactions with others, with your thoughts. If you find that you wake up one day and you feel achy, pained, whether it be your back, your head, your knees or your shoulders, ask yourself what unnecessary weight have you been carrying. The psychological weight that is reflected to you from your belongings, from the people around you, from the messages that you let in through television, movies, advertisements, all of that psychological weight goes with you in your dream state. Your dream state is where you release much of the waking conscious thought that is unnecessary for your progress. So, if you wake from the dream state in pain which does not immediately subside upon waking, it means that you have yet to clear the unnecessary debris from your waking life and you are carrying too much of it with you even in the spirit realms. Now, when you pass from this physical existence, the spirit will, of course, be freed from all of that weight, it [the spirit] is not strictly associated with your physical form, your physical surroundings or your psychological egoic self — those are trappings of your mortal existence. And the spirit is immortal, eternal. It always retains its freedom, its selfness. And you, the spirit, have chosen to come into this physical existence to learn the lessons of physicality, to experience pluses and minuses that only this realm of manifestation can offer you. You’ve chosen to do this as a learning experience, to help you grow, and it is to help you learn to ascend to an even higher spiritual vibration. This is so that after many, many existences, many lessons, climbing several layers higher in your spiritual vibration, you can rejoin with the Source, the All, the One Being that has created everything. It may seem as if physical belongings are the creation of humanity. But the reality is all creations come from the Source. It may be through one of the Source’s individual expressions, what you would call a person, but all inspiration of each individual person comes from the Source and all physical matter, no matter how you change it, originated with the Source. Nothing can come into existence that did not already exist in some other form from the Source. You each are always connected via a thought or a spirit link to that from which you originated. And it is the love that you feel from it [the Source] in your subtle spiritual mind that draws you back towards it. It has set you out separately to collect experience — this is for the Source to become knowing of itself. Each and every creation is a mirror for the Source. And so, your desire as individual spirit is to regain connection, to again become one with the Source. One of the best ways to do this is to become one, one step at a time, with everything that is around you and everyone who you meet. Begin by deciding what feels good to you. You don’t have to make a blanket statement to yourself in the now, just decide what feels good to you in each and every moment of your day, in each and every room that you walk into, in each and every thing that you glance upon. Do you have belongings that don’t serve you, that do not give you a positive vibration? Many times humans hang on to things that are called heirlooms. They keep them because they have come down from a previous generation. But an heirloom is usually an idealized vision, an object that reminds you of some ideal that you wish to have, that you wish to perpetuate, but which never existed. The object actually bears the weight not only of its previous owners and the positive and negative situations for which it was present, but it also bears the weight of your desire, that thing that you feel you lack, which you hope to gain when you use or gaze upon the heirloom. All of this is unnecessary weight reflected back each and every time you come into the presence of this item and which you carry with you on a subconscious level. What about the photographs in the room around you? Do they reflect good times? People who had a positive effect upon your life? Do they make you smile? Do they bring you hope? Or, are they filled with people about whom you have mixed feelings? Do they bring back negative scenarios? Hurtful words? Do they make you question yourself? Do the photos around you remind you of all the things you wish you could do and have, but don’t? Do they make you long for something? When you glance upon something, pause long enough, just long enough, to see if the first subtle feeling is one that is uplifting, a positive thought or one that brings you down a notch in your vibration, a negative thought. It may not be easy to step over the threshold of emotion (that physical incarnate humans often connect to objects) and release it, if it is not helping raise your vibration. But we can promise, coming from a place where we have no belongings, that if you release it and continue to do so whenever you realize a lowering of your vibration in the presence of an object or even a person, if you continue to release these things, one day, not too far in the future, you will turn around and find that your excess weight — physical, emotional, energetic — is beginning to fall away, your mood and your vibration is beginning to raise, your physical energy is much more accessible to you. This is the very first step on approaching ascension. Our ancestors, who were once incarnate humans on this very planet Earth, have walked this path already. It is how we have come to be light beings, floating at will, zooming from one side of the Universe to the other, always connected and in love with one another, always faithful to our highest values. We are joy and health and longevity. We are no longer physical, yet are completely manifest as individuals in an organized society. And this is the place that humanity is headed, if it chooses. 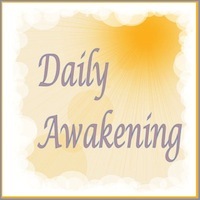 You are, actually, making your own evolution and we are here to assist you in evolving to a higher, more spiritually connected and positive place. As the Lullites, we hope that you find something uplifting and inspiring in our words. You are free to ask us questions and we will address them for you in future sessions, to assist you, as an individual in becoming more truly divine in your own physical body. Begin releasing, become more conscious and make your choices based on your own understandings.